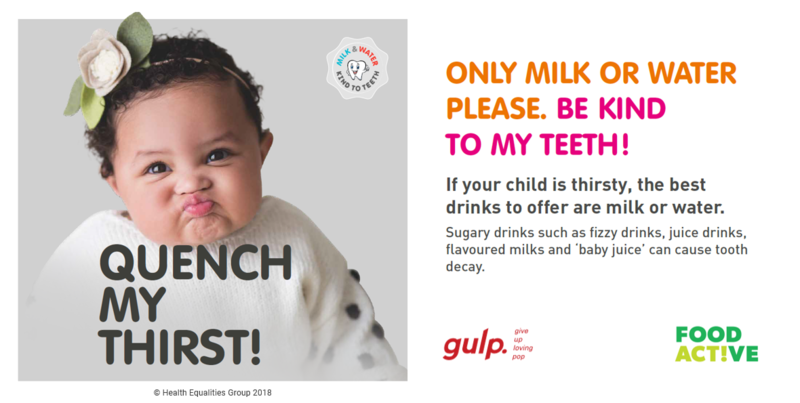 Give Up Loving Pop has launched a new early years campaign ‘Kind to Teeth’ to mark the start of this year’s National Smile Month and to help promote healthier drink choices for the under 5’s. The campaign is aimed at parents and carers with a view to encourage water and milk for babies and children and raise awareness of the health risks associated with consumption of sugary drinks. ‘Kind to Teeth’ has been developed by registered nutritionists, dental health and early year’s specialists and forms part of the well-known Give Up Loving Pop campaign. The campaign has been launched to coincide with National Smile Month, which will take place between 14th May until 14th June, and we are encouraging local authorities across the country to help us promote better oral health in the early years. National Smile Month is the UK’s largest and longest-running campaign to promote good oral health. Organised by the Oral Health Foundation, the campaign highlights three key messages which help to develop and maintain a healthy mouth – one of which recommends reducing the amount of sugary drinks consumed. We are all consuming too much sugar – and young children are no exception. Research shows that babies as young as one-year-old are consuming high levels of sugar in their diet, despite public health guidance to reduce free sugar consumption. As a result, by the age of five nearly a third (31%) of children had obvious decay in their milk teeth 1. In another study, 12% of three-year-old’s were found to have evidence of tooth decay having on average three decayed, missing or filled teeth 2 – and sugary drinks are a major part of the problem. An analysis of over 200 fruit juices marketed to the early years found that almost half contained at least a child’s entire daily recommended maximum sugar intake of 19g 3. Poor oral health is not the only consequence of prolonged consumption of excess sugar however; it can also lead to other health conditions later in life, such as obesity and type 2 diabetes 4. Despite these types of drinks being advertised as suitable for babies from just 4 months old, it is recommended that all babies are exclusively breast fed for the first six months of life and then for as long as the mother wishes to do so. Infant formula milk can also be given.  Following this, plain milk and water are recommended as the best and only drinks young children need to keep children well hydrated 5, 6. The period from birth to five years of age is a key stage in a child’s development and provides a fantastic opportunity to influence long term healthy food and drink habits, which is why the ‘Kind to Teeth‘ campaign is encouraging parents and carers to only give their baby or young child only milk and water if they are thirsty. The ‘Kind to Teeth‘ campaign has already received great coverage on social media and will be launched locally in a number of areas in the North West. We have developed a suite of poster designs (including BAME specific imagery), social media resources, videos, briefing papers and FAQ’s alongside promotional collateral such as concertina information leaflets, A4 foldout leaflets and pop up banners. Reducing levels of tooth decay in babies and young children is a priority for many local authorities, and we would be very happy to speak to public health teams, both in the North West and beyond, about how a campaign could be delivered in your local area. If you would like to find out more about the campaign resources, please follow the link below to the ‘Kind to Teeth’ brochure.